The Landon Foosball table is the perfect game to play with family and friends. 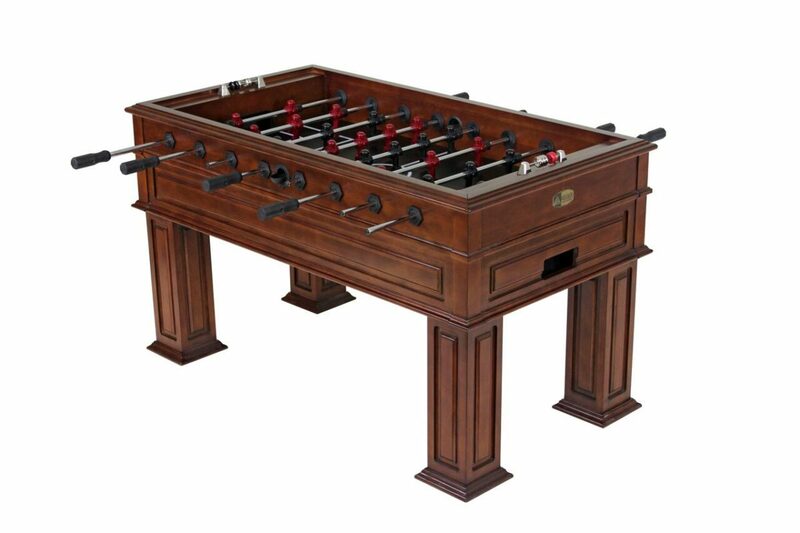 Masculine lines and strong details make this solid wood foosball table look great in any room. This wood foosball table features four finishes to chose from. Pair it with our Landon Billiard Table to complete your matching game room. Legacy uses a fine furniture quality finish on all Legacy manufactured game tables and furniture items. Legacy not only designs each piece but manufactures and finishes each piece in their Legacy plant under tight Legacy quality controls.